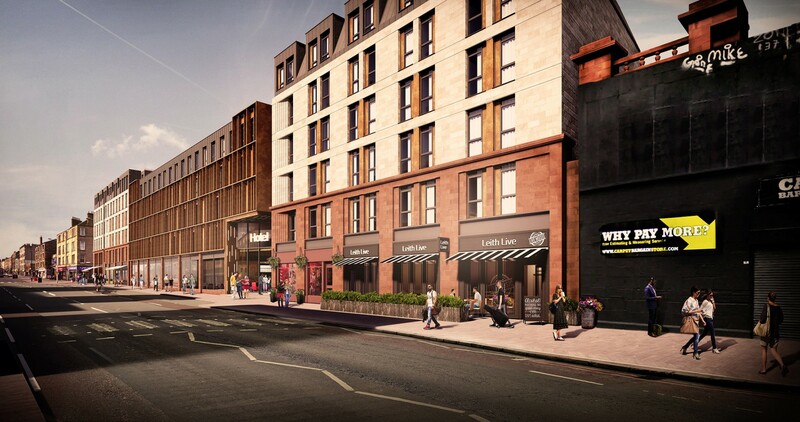 Drum Property Group have capped a series of public consultations with submission of a detailed planning application for creation of a £50m mixed-use ‘quarter’ on Edinburgh’s Leith Walk. 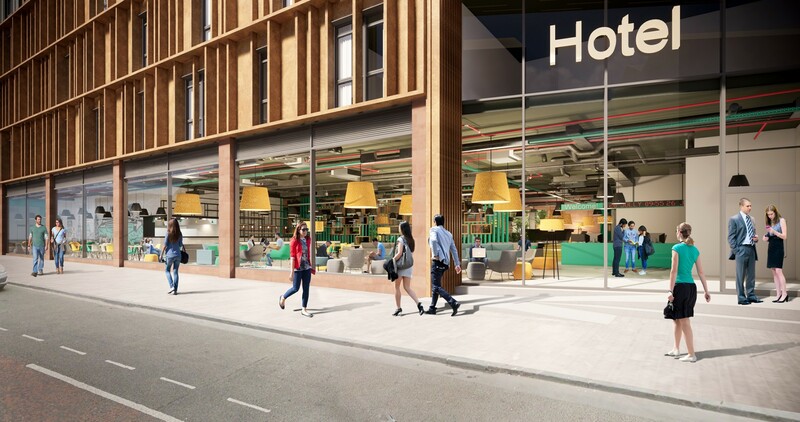 The 2.9 acre site at Stead’s Place will play host to a combination of 53 affordable homes, student housing, a 56-room hotel and retail as well as a restaurant, café and live music venue. 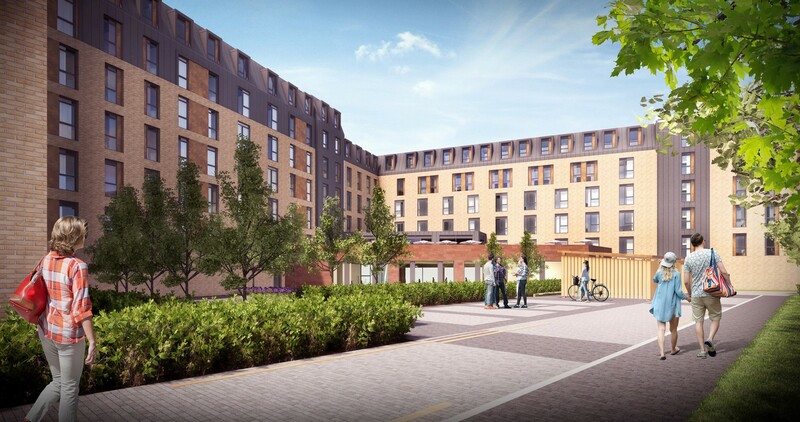 These elements will be unified through 9,000sq/ft of open leisure space provided by the University of Edinburgh for shared use by students, guests and the public. 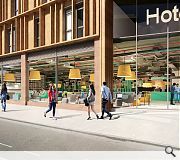 This will see a single-storey run of red sandstone units redeveloped, extending to an industrial estate behind, after the existing buildings were deemed not to be an ‘economically viable investment’. Graeme Bone, Drum group managing director, said: “We have listened to the often-passionate views of the local traders and community and we understand the importance of maintaining a distinctive and independent feel for this important stretch of Leith Walk - whilst bringing a bold, modern development for a confident and diverse Leith. 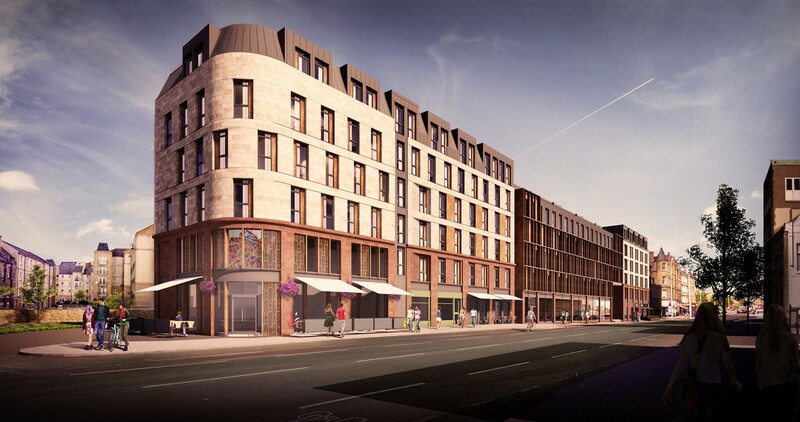 The development has been designed by Halliday Fraser Munro and could get underway in earnest in 2019 when all existing leases expire, connecting Leith walk to Pilrig park by way of new landscaped walkways and cycle routes. Drum will continue to liaise with the local community with the intention of incorporating large murals and stained glass windows to define prominent corners. Who is the architect on this? 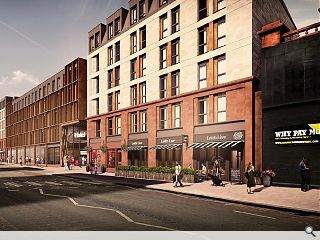 Unlike many, I am absolutely fine with these rather uninspiring wee units being redeveloped and creating a scale and mix of uses near the foot of the Walk. But that roof is proper bogging and unlike anything else on the bottom half of Leith Walk. I really like this and think it add to to the street. The current block of red sandstone is in good condition from the outside but judging by the poor quality shops it may be less so from the inside. 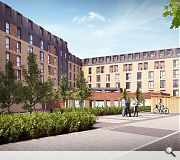 Comment on various news agencies seem to be totally against this development but I cannot understand why apart from the 'student flats' when they really should be more provision for locals to get good quality flats rather than having more student accommodation. This redesign is a vast improvement on the previous proposal. Especially the new link to Pilrig Park. 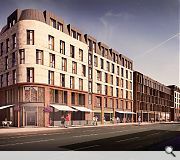 As someone who has lived in Leith all their adult life, and who currently lives right next to the block being demolished I've always thought it was an uninteresting two storey building completely out of scale with the rest of Leith Walk, and the industrial estate behind it a grim wasteland best avoided after dark. All the businesses there can relocate when it's finished - including Leith depot. All this howling about ripping the heart out of Leith is ridiculous. A bed shop, a couple of cafes and a decent music venue is hardly a throbbing downtown metropolis. I agree with Basho! This is a very interesting parade of shops and the detailing is probably worth note however it is out of context with the surrounding properties and a larger density building would be more suitable using all the land because the car park behind the existing is dodgy at best. This design is a significant improvement and the curve detailing definitely adds visual interest as does the modern break in the middle. However I would say the building is a storey too high and the use of that cladding on that level makes it even more noticeable.